Info Gordon Muir Campbell, BA, MBA, MLA is the 34th Premier of British Columbia. He is the leader of the BC Liberal Party. Born into a wealthy Vancouver family, Campbell's circumstances changed abruptly at age 13 when his father committed suicide. The Campbell family were then forced to move into a small apartment. After high school, he enrolled in Dartmouth College in New Hampshire with an athletic scholarship, studying urban management and earning a BA in English. Campbell and his wife Nancy, a school principal at Howe Sound Secondary School in Squamish, BC, have been married since 1970. They have two sons, Geoffrey and Nicholas. Campbell and his wife spent two years in Nigeria teaching at a secondary school. On his return to Canada he worked as executive assistant to Art Phillips, mayor of Vancouver, from 1973 to 1976. Campbell then left to become a realty developer. He earned an MBA in 1978 from Simon Fraser University. Campbell was elected to the Vancouver city council in 1984, and from 1986 to 1993, Campbell served as the mayor of Vancouver. Campbell's tenure is most noted for the development of the Expo lands, the re-development of the Yaletown neighbourhood, and the foundation of the Coal Harbour residential community. Campbell became leader of the BC Liberal Party in 1993, and was elected to the Legislative Assembly next year in a Vancouver-Quilchena by-election. He has represented the Vancouver-Point Grey riding since 1996. He lost the 1996 BC provincial election despite winning more popular votes, and he remained opposition leader under New Democratic Party Premiers Glen Clark, Dan Miller and Ujjal Dosanjh. After the NDP's approval rating dropped to historic lows, Campbell's Liberals defeated them in the 2001 election, taking a record 77 of 79 seats in the legislature. Although he is leader of a nominally liberal party, Campbell is better identified as a conservative. The BC Liberal Party has no formal ties to the Liberal Party of Canada, and is essentially a centre-right coalition opposed to the NDP. In 2001, Campbell campaigned on a promise to significantly reduce income taxes. A day after taking office, Campbell reduced personal income tax for all taxpayers by 25 per cent over two years. Campbell stated that the tax cuts would stimulate the economy by encouraging consumer spending. Unemployment declined to levels not experienced since the 1960s, as commodity prices increased and the mineral resource sector recovered. Campbell has had to deal with a several controversies, both personal and governmental. In January 2003, Campbell was arrested for driving under the influence of alcohol while vacationing in Maui, Hawaii. Campbell's blood-alcohol level was more than twice the legal limit. He later apologized. Also in 2003, the Legislative buildings were raided, and two Liberal staffers were charged with drug and corruption-related crimes. Some of these charges have since been dropped. As of late 2006, the trials had not yet taken place. Given the huge majority and unprecedented percentage of the vote in 2001, the popularity of his government declined over time, but remained broadly popular with the BC public. Campbell campaigned on the slogan "Our Plan is Working", alluding to BC's recovered economic conditions and lower unemployment. In the May 17, 2005, election, Campbell and the BC Liberals won a second majority government though with a reduced number of seats. 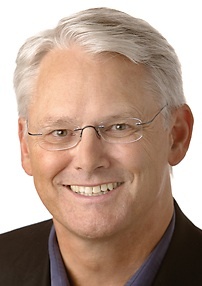 Gordon Campbell became the first BC Premier to win two consecutive elections since Bill Bennett won three elections in 1975, 1979 and 1983. In the 15-years between Bennett and Campbell BC had six premiers. By the time of the next election Gordon Campbell will be BC's 6th longest serving premier.